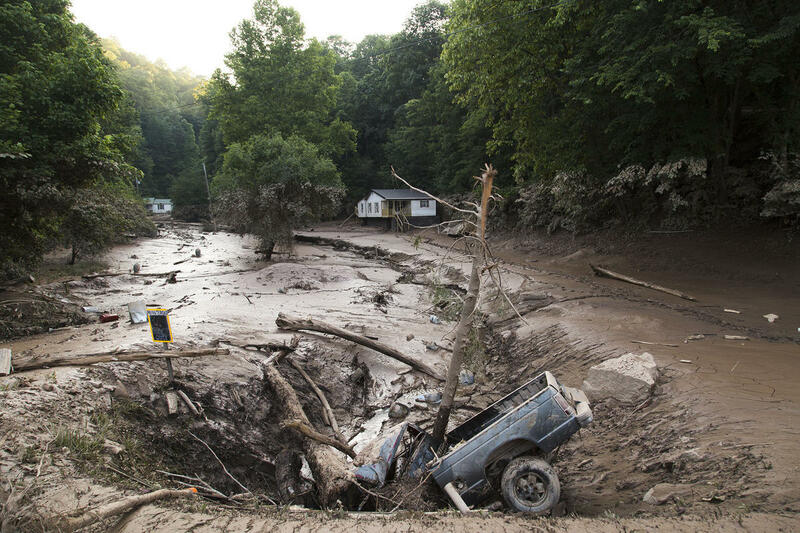 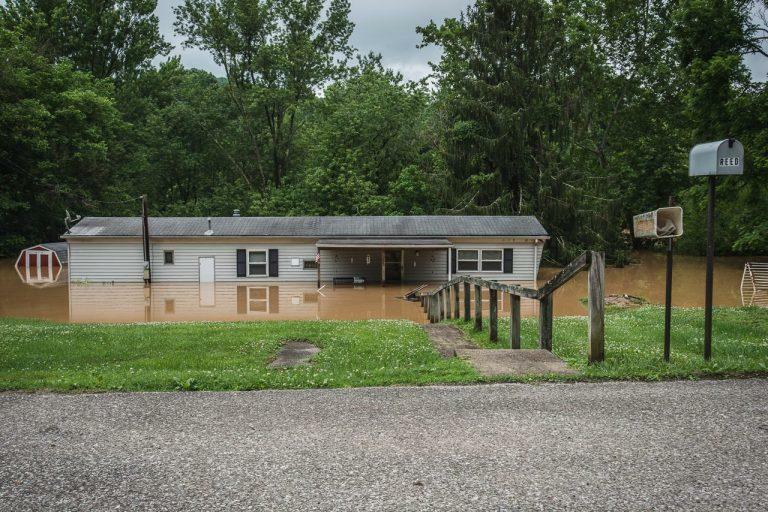 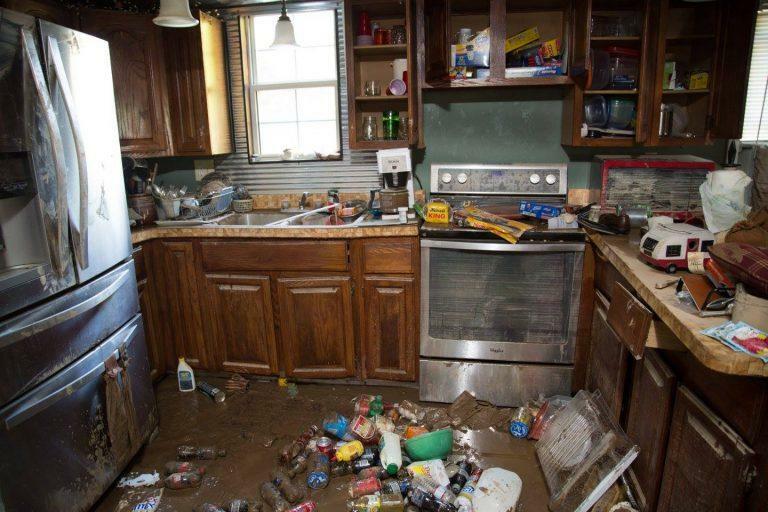 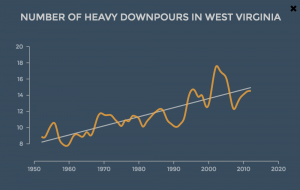 The National Weather Service described the West Virginia disaster as a 1,000-year event, a term meteorologists use to describe the rare probability of such extreme rains. 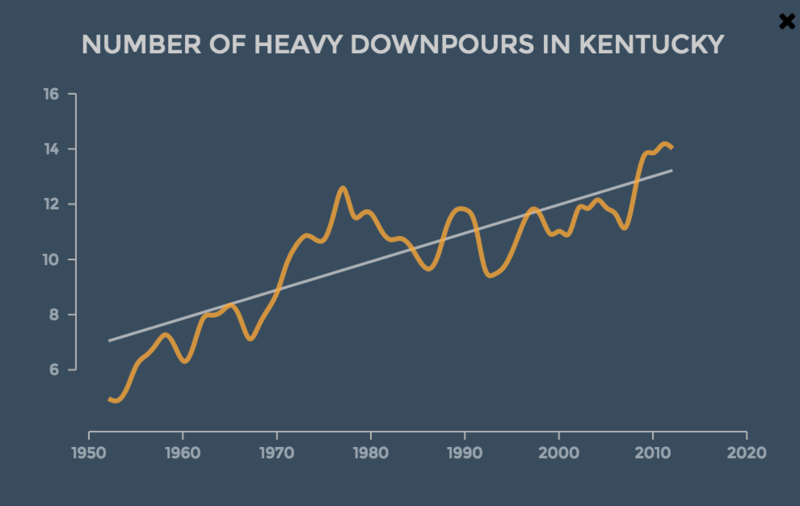 Many scientists who study the climate, however, warn that our warming atmosphere is increasing the likelihood and severity of flooding disasters. 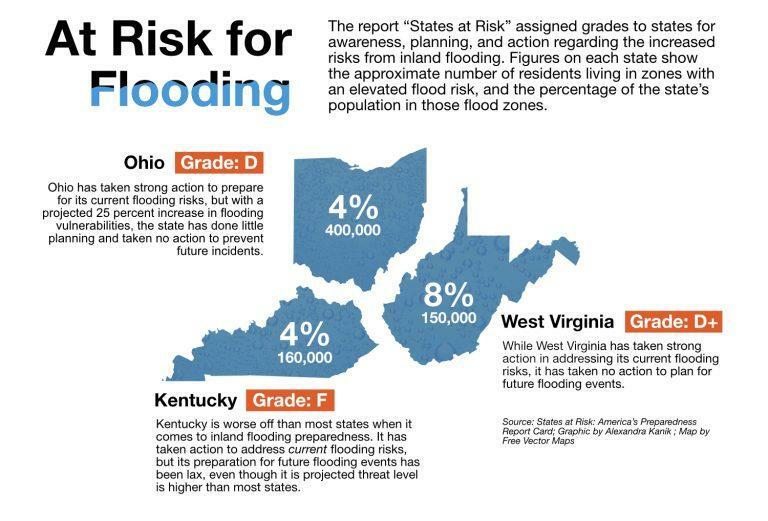 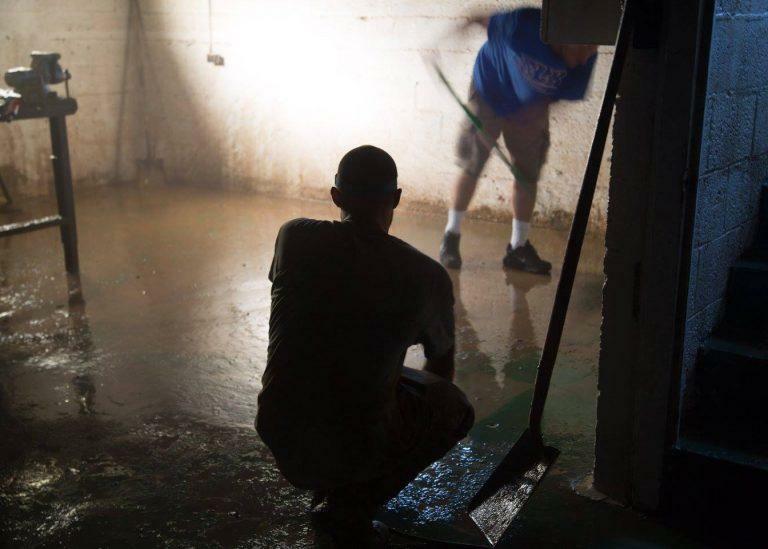 Further, a review of emergency planning shows that while risk of extreme rainfall is on the rise in Kentucky, Ohio, and West Virginia, the states are not doing enough to prepare for the rising waters. NOAA, the National Oceanic and Atmospheric Administration, reported that last month was the warmest June for the U.S since temperature record-keeping began more than a century ago, and 2016 is on track to become the globe’s warmest yearever recorded. 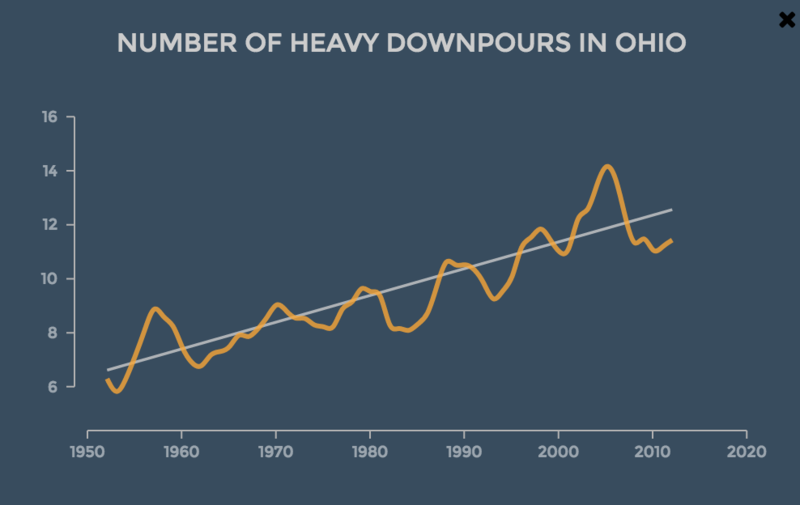 Mann explained that our atmosphere is like a sponge, and the warmer it is the more water it can hold.